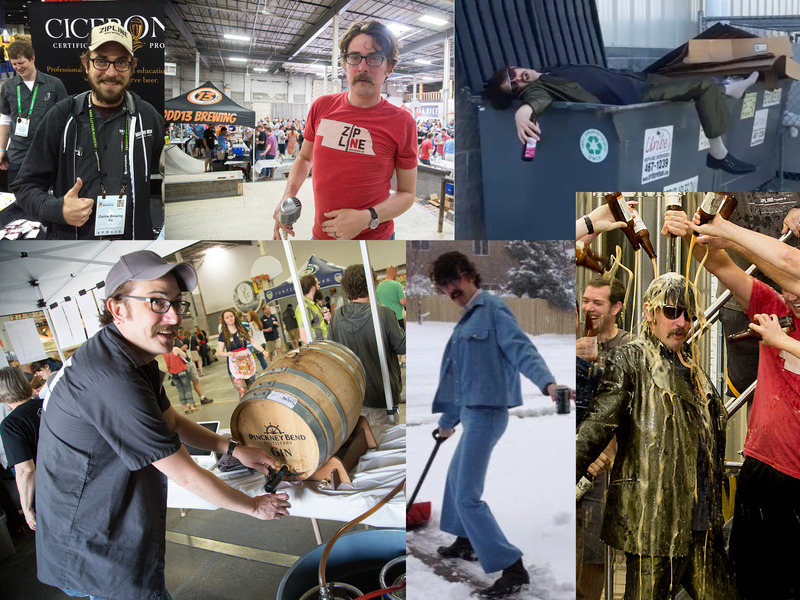 Craig Reier, Director of Marketing and Events - Zipline Brewing Co.
A man of many contrasts, reducing such a richly dimensional human to print is quite the challenge. We’ve done our best here to bring you all you need to know about your erstwhile bartender, occasional tour leader, and regular karaoke performer: Craig Reier. Craig got his start in the craft beer world working behind the bar at Yia Yia’s in downtown Lincoln. A novice at the beginning of his tenure there, some dedicated exploration of the ever-changing beer list quickly advanced his knowledge of beer styles. It was at Yia Yia’s where he had his first sip of Tripel Karmeliet, which “changed his whole beer world” by opening his taste buds to exquisite Belgian brews. 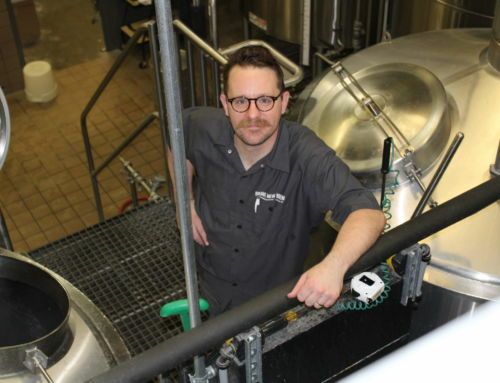 Though the Lincoln native had never planned to pursue a career in craft beer, Craig enjoyed the work immensely and followed his unexpected path to Cicerone certification. 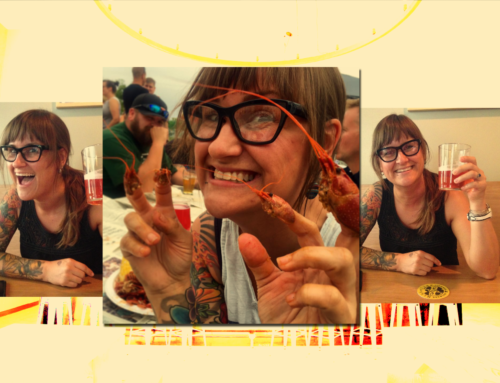 Cicerone certification is no easy feat. 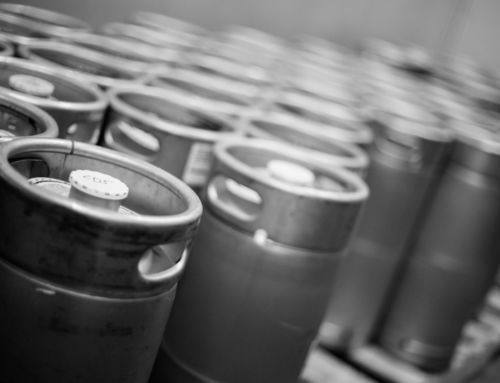 It includes an hours-long grueling examination consisting of written, sensory, and videotaped questions about every aspect of beer from brewing to draft systems to service to style. Though he claims he passed “accidentally,” the truth is that Craig logged hours of study over a period of months to prepare for his exam. All his studying paid off when he was certified in 2013. 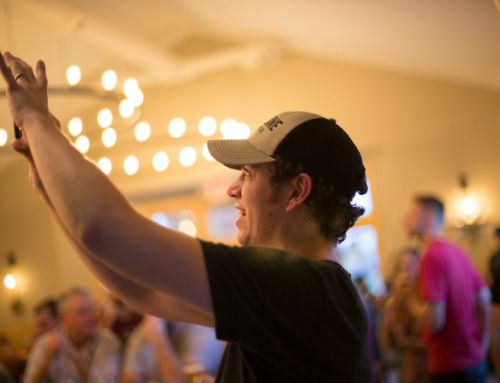 “Craig’s beer expertise is a real asset around here,” says Taproom Manager Kelly Houchen, and customers certainly agree when they have the chance to learn from his brewery tours or beer pairing events. Don’t let his serious knowledge of craft beer fool you. 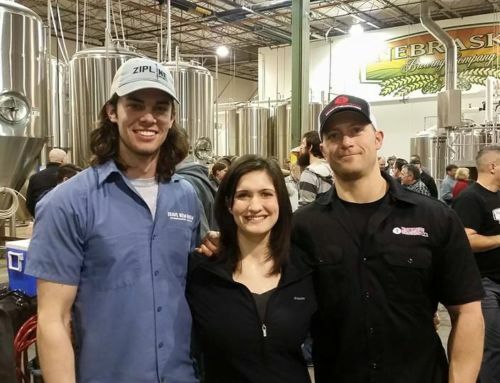 His coworkers will tell you Craig is certainly the in-house entertainment at the brewery. Never one to take himself too seriously, you can always depend on Craig for a few bars of Taylor Swift or a dive down a Youtube rabbit hole of comedy. His penchant for performance serves him well in his musical career. Currently performing with his band Yesh, Craig has played with nearly a dozen bands since junior high. Taptender Andy Pedersen describes Yesh’s music as “electro shoegazing,” but you’ll have to check out Yesh’s next performance and find out what that means for yourself. At home, Craig spends his time with his lovely (and patient) wife Erin, their nearly-two-year-old, Charlie, and Racecar, their very long dog. We can’t talk about Craig without talking about Eddie Woodsdale, the mysterious man of disrepute who makes occasional appearances with Yesh and even more rarely at the brewery. No one knows where or when they first heard about Eddie Woodsdale. A fellow with murky origins, once you’ve met Eddie, he ends up in every story about good times (and bad)– even the stories from before you’d met him. You can’t call Eddie Woodsdale or friend him on Facebook. There’s just no getting in touch when you want to talk to him (just ask all the bosses who have fired him). One thing’s for sure: Eddie appears wherever booze is flowing and bad decisions abound. Appearing with a thrust of the pelvis and point of the finger, you’ll always sight Eddie in the middle of the dance floor, uncomfortably close to his fellow partiers. Though he’s sometimes sighted at Zipline, all three owners want to make very clear that Eddie is not on the payroll– nor ever invited to the brewery. Eddie is never one to pay heed to formal invitations, though. If there’s beer flowing, pouring, spraying, raining down from the rafters, there’s Eddie, mouth open. Let this short profile serve as a PSA. Next time you come into contact with the Man of the People, you’ll know what to expect, and which expectations to toss out the window. You’ll be able to navigate the interaction without bodily injury or a need for bail money. Just be sure to wash your hands after shaking his.